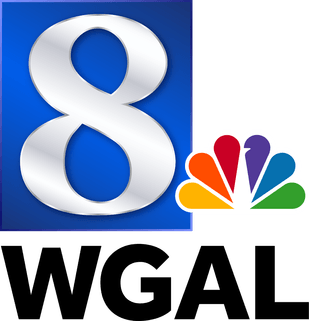 WGAL NBC television channel in the Lancaster/Harrisburg/York (Susquehanna Valley) area. It can be viewed on channel 8. Its studios are located in Lancaster, PA.
WGAL-TV first appeared on television on March 18, 1949 on channel 4 as the fourth television station in Pennsylvania. It was owned by the Steinman family, owners of WGAL radio (1490 AM) and Lancaster's two major newspapers. At the time, Lancaster was the smallest city in the country with its own television station. A typical WGAL highway sign, featuring a classic WGAL logo. This sign is found on US 322 near the village of Fontana in South Annville Township. WGAL Facts for Kids. Kiddle Encyclopedia.